Lawyer Garth Manning, a retired Queen’s Counsel, advises lawyers that their help is needed by clients considering signing wind turbine leases or options to lease. In an opinion piece in the current Law Times, Manning says that landowners may focus only on the amount of money they can receive by signing the document, and overlook many important features of the agreement. “Typically, the wind power proponent incorporates a subsidiary for each individual project. Its agents obtain turbine sites from farmers who have limited understanding of what they’re being asked to do, which is to sign an Option to Lease many pages long; in this option may be a ‘further assurances’ clause that obligates them, if the option is exercised, to sign a form of lease. “That document, many more pages long, is by far the most lessee-friendly imaginable to any real property lawyer, experienced or otherwise. “Those farmers badly need legal advice; local law associations should emphasize this to their members,” Manning advises. Manning emphasizes the impact of the agreement on farming practices, and on communities. Neighbours may not be too happy with the noise and effect on property value, he adds. This information needs to go out to all landowners in Ontario, especially those who are in municipalities that haven’t declared themselves ‘unwilling hosts’ and face the possibility of the temptation to ‘take the cookies’ and sign contracts without being fully informed. Thanks for shining light on this aspect of the incursion. The real problem is the absentee landowners who don’t give a diddley squat about the community or their neighbours. When the wind licences were doled out, they bought up tracts of land in the licenced areas specifically for leasing to the turbine companies in order to make some easy money….cha ching! They live elsewhere and so are never bothered by health issues or environmental worries. These practices are part and parcel of the ‘green energy’ crime our government has perpetrated against us. It’s an integral part of the whole global warming scam that has made a handful of people into instant millionaires, leaving the rest of us having to choose between food and electricity. True Lynda very true…. the majority of leases for IWT’S are located on all other properties NOT around the leaseholders property….. I said it before I’ll say it again…. when Ole Katty Wynnd cancels these lucrative subsidies to save the economy… the leaseholders will be left in the dark. .. literally ….. no where on the lease does it say liberal the government!!!!! If you do business with the government you are on your own!!!! Q: who decommissions the turbine at the end of the lease? What are the consequences should they fail to do this? Yes it should be a hay day for the lawyers. What do the thousands of people do who have signed the lease do now? 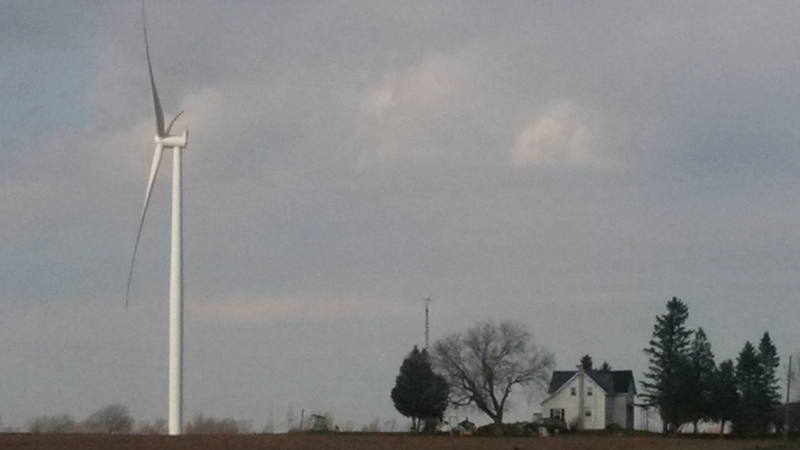 Those living near turbines will need lawyers to sue the lessor for damages incurred. And the lessor best save his money because he’s going to need it not only to decommission are restore his farm, but to defend him against the damages to the neighbors.